Five albums in seven years is a lot, and the fact that we're talking about one of Norway's most interesting artists, the former Emperor frontman himself here, should make little difference to the danger of spreading his talent too thin. Yet just sixteen months after his previous opus magnus, the still excellent Eremita, Ihsahn is back with Das Seelenbrechen (“the soul break”). It's been described as the man himself in interviews as a 'deliberate sidestep', and will certainly disappoint anyone looking for more of the same. I'd struggle to even call it a cohesive album, actually – although tracks fit naturally enough together because of the skill of the composer, they are clearly not meant to follow on, and the range of styles covered is broad. Everything from his usual extreme prog, to ambient, noise, soft catchiness and avant-garde experimentation is covered, and apart from the fact all are recognisably the work of Ihsahn, the variety is considerable. 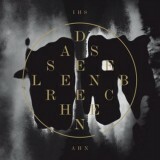 I'm finding it very hard not to view Das Seelenbrechen as a kind of compilation, a set of B-sides or a glorified EP rather than an album, truth be told. His previous output under his own name has taken the form of albums, each contained in itself, so this is something of a shift in how we perceive Ihsahn's work. Yet it's not fatal to your enjoyment here, and once you've had time to become used to it even makes a kind of sense. The skill obvious from the music itself does a lot to convince you, that's for certain, each track interesting and compelling, drawing you in for multiple listens and each seeming to have something to say. Opener Hiber has plenty of his usual sturm und drang, complete with jazzy piano and almost orchestral booming guitar lines, building up with impressive drumwork (from Leprous' Tobias Ørnes Andersen, who is a big part of this album's success) and a complex, progressively-structured second half. First single NaCI is an enjoyable groover, one of those rare pieces that is at once a wonderful example of catchy songwriting and a complex prog metal construction, yet the following Pulse seems more suited to the traditional 'single' role, being a soft, piano-and-electronics song with a catchy vocal hook – something we're really not used to hearing from Ihsahn. The album dips into pure avant-garde with the dual Tacit pieces, chaotic percussion above ambient noise and Ihsahn's shrieks seeming shocking on the first listens, the second Tacit ending in a jazzy orchestral flourish. Even in its simpler moments, like the short yet ominous Rec with its mad fairground vibe like something from recent Devin Townsend, there's a leftfield experimental air to the album that makes it compelling. For example, Regen's gentle opening of unaccompanied piano and Ihsahn's soft vocals is very akin to something from recent Opeth, before booming doom riffage backed by symphonic keyboards start up, ending almost as a piece of opera. Perhaps the best way to view Das Seelenbrechen is as a poetry book, each song offering something to puzzle over, something for the listener to tease out a meaning of. It's not an album that will have universal appeal, that will say the same thing to everyone or that everyone will even enjoy – moments like the spoken introduction to M are downright weird, and the obtusely tuneless See is a very unsatisfactory way to end the album. Something keeps drawing you back to Das Seelenbrechen, however, and the more you listen to it the better it gets. Inferior as it is to other Ihsahn albums, it still has much to recommend it, and fans will enjoy it a lot.